I know for a fact that mold is not an awesome beer ingredient. Don’t ask how I know for a fact, that’s another story. Let’s just say I learned the hard way that I need to make sure that the beer bottles I’m using for homebrewing are mold free. How do I keep my hombrew bottles mold free? First, after I enjoy a homebrew, I rinse it immediately to get rid of any of the remaining beer or sediment in the bottle. 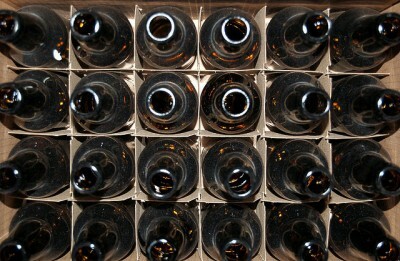 Then I let the bottles dry before putting them away in storage. 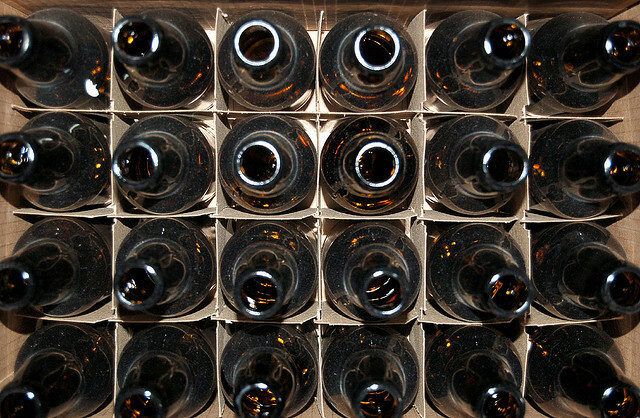 Just air drying them is good, but using a beer bottle tree is even better. It dries them upside down, eliminating any liquid that could turn into mold. It also doesn’t hurt to store the bottles upside down if possible. What to do if my homebrew bottles have mold? Even after rinsing the bottles, I still had some that managed to end up with mold inside of them. The best solution that I’ve tried is letting the moldy bottles soak over night in bleach. It worked 99% of the time. I know other people that use Oxyclean or PBW (Powder Brewery Wash), but I stick to the bleach. You can also use a bottle brush to get into the hard to reach spots in the bottle. Plus, you can use bottle washer that attaches to your sink to rinse the bottles clean.